White porcelain Ceramic Insulators & fuses. Made from high quality raw materials. premium quality. 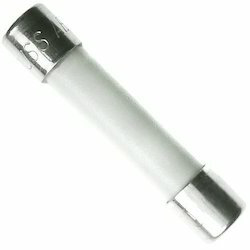 We are engaged in offering excellent quality Ceramic Kitkat Fuse to our valuable clients. Widely known for their resistance to high voltage and temperature, the variety of Kit Kat Fuses includes fuses like 32 AMP & 415 Volt Kit Kat Fuse, 63 AMP & 240 Volt Kit Kat Fuse, 500 AMP & 415 Volt Kit Kat Fuse and so on.